Kellie Fischer, executive vice president and chief financial officer of the Texas Rangers Baseball Club, will be the Forum on Entrepreneurship Breakfast Series keynote speaker Thursday, April 25. The breakfast discussion, titled “Business Ethics: Staying Fair in a Foul World,” will be held at the Pearl Stable of the Historic Pearl Brewery. Since 2005, Fischer has overseen all financial matters and purchasing for the Texas Rangers. She also serves on the board of directors for the Texas Rangers Baseball Foundation. Fischer joined the Rangers in 1999, serving in many roles for the Rangers’ former parent company, Southwest Sports Group, and the Dallas Stars. Prior to joining the Rangers, Fischer, a CPA, spent four years at PwC in the audit division of the Dallas office. She is a member of the Dallas Assembly, International Women’s Forum and is an alumna of Leadership Dallas. Her commitment to the community also includes serving on the board of directors, the executive committee and the finance committee for the Arlington Chamber of Commerce. 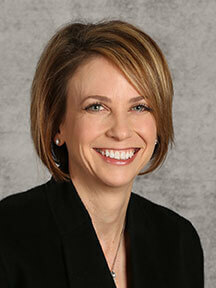 Additionally, Fischer serves on the finance committee for the Susan G. Komen Race for the Cure. “The forum will offer a special look at the baseball world from a financial perspective and a rare opportunity for businesses and baseball lovers alike,” said Edelen.